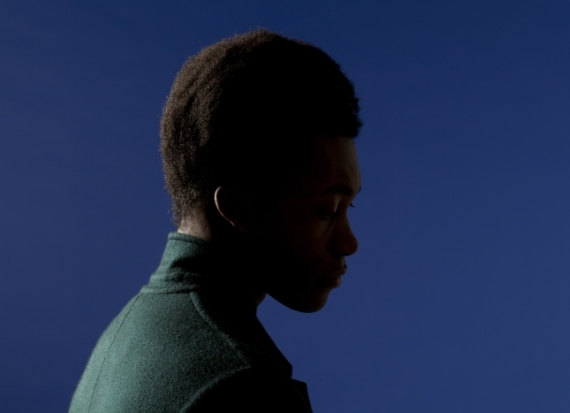 BENJAMIN CLEMENTINE When Benjamin Clementine sings, people stop what they’re doing and listen. A talent this unique is the purest of discoveries. There’s the voice: tender, powerful, fathoms deep. The self penned songs with their gut-wrenchingly personal lyrics. The way his piano lines ebb and flow, partnering the words, reinforcing the emotion. One listen to his new EP Cornerstone, and you’ll see what we mean. Each of its three ballads – ‘Cornerstone’, ‘I Won’t Complain’ and ‘London’ – is a great song in its own right. A lived-in song that tells its own story, has its own intimacy; a song that connects with the listener, person to person. Love and loss, despair and hope, pride and self-belief… This is me, he’s saying. Maybe it’s you, too. He’s a young man with an old soul, this Benjamin Clementine. Broad shouldered, straightbacked, with a singular sense of style, the Edmonton-raised, Paris-and-London-based singer/songwriter/multi instrumentalist has already drawn parallels with the likes of Nina Simone, Screaming J Hawkins and perhaps inevitably, when he’s wielding his guitar, Jimi Hendrix. Better, perhaps, to recall another outsider, another artist with the same sort of cultural charge and frisson of danger: the late Jean-Michel Basquiat, the iconic painter and Warhol collaborator who lived by his own rules and for a short while, really lived. Indeed, if you have to stick another label on Clementine’s sound, then try Basquiat Pop. Bas Pop. It’s fine by him. “Basquiat did what he wanted to do,” says Clementine with a shrug. “So do I.” He’s packed a lot into his 24 years: heartbreak, homelessness, a Phoenix-from-the-Ashes reinvention. Before reaching cult status in Paris, where his informal, close-up gigs sell out, he had crowds double-taking with his performances at film festivals in Cannes and Normandy. And along the way, right up until earlier this year, he busked. There are thousands, maybe hundreds of thousands, of Parisian commuters for whom Clementine’s stardom was only ever a matter of time. Most are regulars on Metro Line 2, the open-plan train that runs in a semi-circle from Porte Dauphine to Nation and back, on which the charismatic north Londoner played for nearly two years, building his voice, refining his craft. Clementine sang loud, long and hard enough to be able to afford somewhere to stay, to upsize from sleeping rough to a shared room in a hostel and eventually, to an apartment. What was born out of despair, out of a need to survive, became a calling. A delight. A career. So forget about stage schools and privileges. Clementine is the real deal: a Spurs-supporting kid from a working class family in N18 – long rated one of the most deprived, crime ridden areas of London – who while fiercely proud of his roots (“Edmonton always felt safe to me”), only found himself after running away.